good I stopped painting what I was doing to complete it. 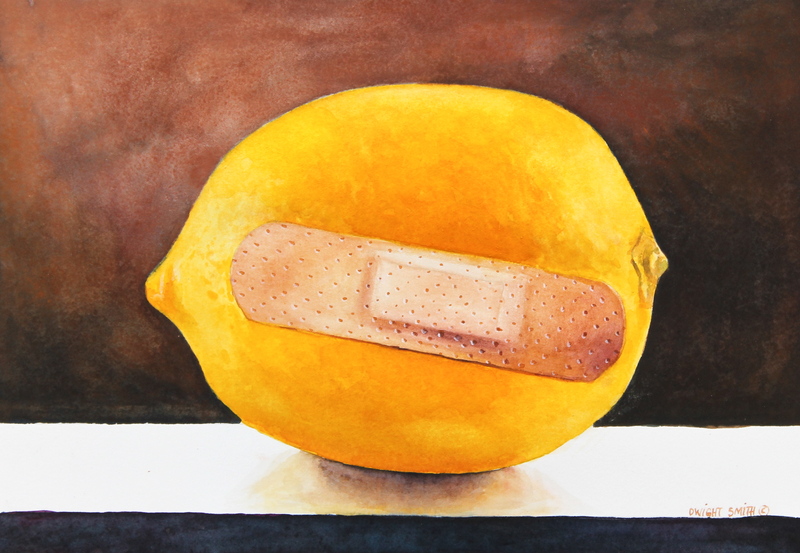 This painting is simply a lemon with a band aide stuck to it. Keep smiling! This is a food themed watercolor with a horizontal format.